Have you got what it takes to run in the ultimate Christmas charity fun run event helping to raise vital funds for Cancer Research UK?! 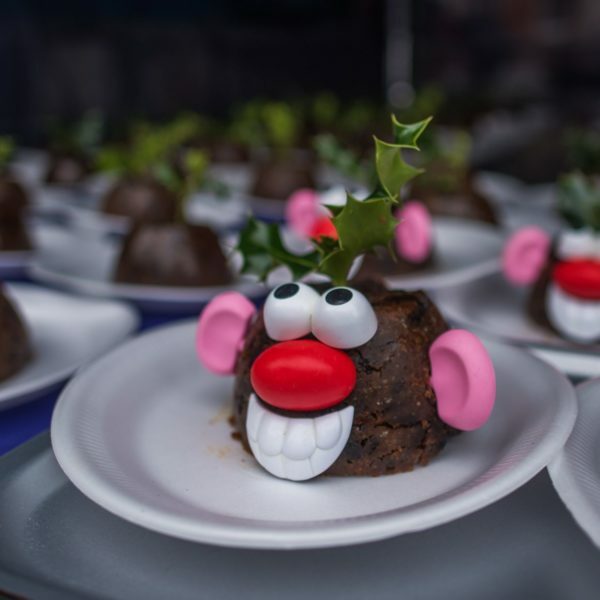 To enter a team in the Great Christmas Pudding Race, simply get together a team of 6 and complete the form below. Once you have completed your registration form and paid the registration fee (£75 per team), you will receive a confirmation email from us. We ask each team to raise a minimum amount in sponsorship of £600 (£100 per person). If you have any queries or are unable to pay by Paypal, please contact us. If you aren’t able to enter a team this year but would still like to make a donation to Cancer Research UK then please head to our JustGiving page. 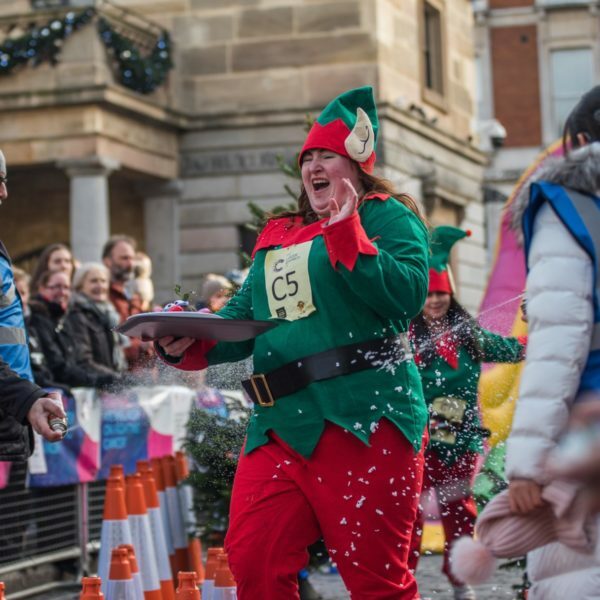 If you are entering the race and you are lucky enough to be under the age of 18, please download and complete the parental consent form and email it to helena@xmaspuddingrace.org.uk. Please note you must be 14 years old or over to participate in The Great Christmas Pudding Race. What is your reason for taking part? I understand that CRAC or Cancer Research UK may distribute details, images and/or video of those taking part in the race to the media and others, and that I consent to my details and likeness being published in any media coverage. Cancer Research Action Committee (CRAC) is committed to protecting your privacy, and takes its responsibility for securing user and customer information seriously. This policy explains how we use any information and protect your privacy. CRAC is required by the UK Data Protection Acts of 1984 and 1998 to follow strict security procedures relating to the storage and disclosure of the information you give to us and to secure that information from unauthorised access. CRAC will not sell, trade, rent or disclose any information you supply to a third party or other organisation without your prior consent unless there is a situation where it is legally obliged to do so.